An established marketing agency devoted to help U.S. businesses advertise to the Mexican traveler and local hispanic consumer seeks an ambitious -- self-motivated individual -- to join our team. Applicants must be result driven, accountable, professional and willing to travel locally. Position has responsibility for acquiring new clients, consulting, and serving clients' marketing needs. Your primary focus is developing new business and growing advertising revenues on multiple platforms. Use Company provided CRM systems/tools to fully document, track, record, follow-up and capture all sales activities in a timely and accurate manner. Arrange meetings with clients, provide expert knowledge, and deliver innovative solutions including customized products to meet advertiser's needs. Develop proposals, presentations, and reports for clients. Maintain a positive and professional working relationship with commitment to teamwork and exemplary customer service. Reliable transportation and clean driving record, is required. Business-to-Business (B2B) sales background, is strongly preferred. Fluent in Spanish, is strongly preferred. Marketing and advertising sales background, is a plus. A competitive compensation plan with no monthly revenue cap. You’d be part of a small team that develops intranet systems to support our departments; designs, documents, and open source software; develop websites; Facebook apps and other social integrations; and develop iPad and other mobile applications. You’ll benefit from a small, yet growing, team that is always developing products, software, and technologies. Your work and designs will directly benefit the company, employees, and our customers. Although we have short sprints between design and implementation, we reserve 20% for your edification and creativity. Experience with software versioning (CVS, SVN). Git a plus. You’ll need to live in the Rio Grande Valley area, with a preference to McAllen; telecommuters need not apply. 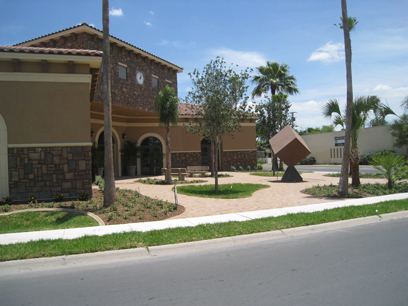 Our office is two story space with all the amenities and is located at the heart of the Arts District in McAllen. Great restaurants and parks are a couple of blocks away. Benefits and compensation are negotiable. You’d be part of a small team that develops and executes marketing strategies for our company and clients. This involves content creation (white papers, newsletter, and translation); marketing campaign management; measurement; analysis; and reporting/presentation of results. Working for a small and growing company you have the benefit of your work being a direct benefit to the company and its clients. Your initiative and creativity will pave new roads and open new opportunities for yourself and our company. At every step you’ll work in a team environment and work hands on with clients and company executives. Experience with MailChimp (or equivalent), Google Apps, Adobe products (a plus), Google Analytics, and Facebook Ads. Experience with graphic design (a plus), market research, content marketing, statistics, social media, marketing planning, and display advertising (a plus). Ability to follow, develop, and improve procedures. Ability to write high-quality reports and presentations. A passion for discovery, challenges, and breakthroughs. Strong proficiency in Spanish is a must. Now is a fantastic time to be joining our company and team. We’re a small marketing agency in the Rio Grande Valley with an abundance of opportunity. Our office is a two story space with all the amenities and is located at the heart of the Arts District in McAllen. Great restaurants and parks are a couple of blocks away.